Home Articles Ingredients Ingredients news Titanium dioxide: towards a ban? Will the authorisation to use titanium dioxide (TiO2) be suspended by the French government? Following the publication of the new ANSES report, which concludes that a lack of scientific data does not make it possible to remove uncertainties about its safety, the hypothesis seems likely, at least for the food sector. But the UFC-Que Choisir already calls, in the name of coherence, for the extension of the measure to drugs and cosmetic products that can be ingested (toothpastes, lipsticks…). Referred to as E171 in food or INCI name Titanium dioxide in cosmetics, white titanium dioxide powder is widely used as a colouring agent to whiten or intensify the shine of food products, medicines and cosmetics. It is above all the fact that this substance may contain nanoparticles, of a size less than 100 nanometers, facilitating their penetration into the body, that has been a cause for concern for consumer and environmental associations for several years. In response to these doubts, the Secretary of State for Ecological Transition, Brune Poirson, announced in May 2018 that its use in food products would be suspended by the end of 2018. Suspension and not prohibition, which is the responsibility of the European Union. The provision had been included in the Food law promulgated in November, but it cannot be applied without an order from the Ministry of Economy, which Bruno Le Maire refused to sign at the time. Faced with the anger of NGOs, the minister finally assured his willingness to ban the colorant, subject to a new opinion from the Anses health agency requested by 15 April. 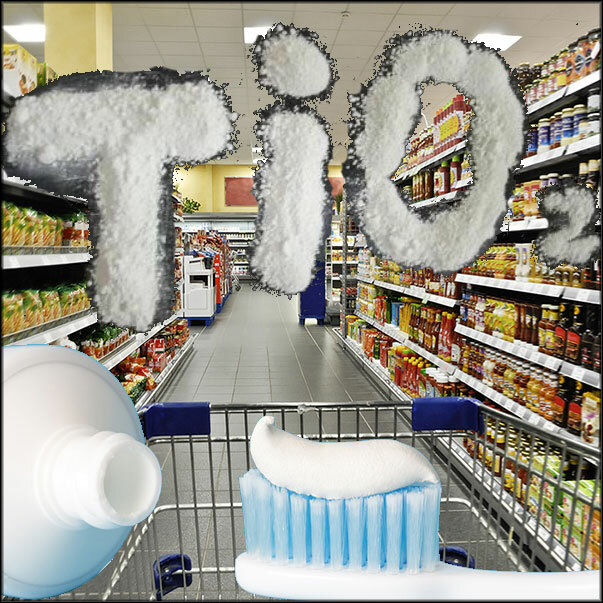 Until a better characterisation of the hazard and risks of titanium dioxide is achieved, it reiterates its general recommendations on nanomaterials, in particular to limit the exposure of workers, consumers and the environment, by promoting safe and equivalent alternatives in terms of efficiency. “If the Anses confirms to me that there may be the slightest risk to public health, I say the slightest risk, even if it is a very slight risk, in this case I would take measures with the Minister of the Environment to ban the marketing of this additive E171 in foodstuffs,” Bruno Le Maire told journalists on 15 April. “The suspension of titanium dioxide in food must be effective as soon as possible and must not be subject to various deadlines and derogations,” reacted the NGOs Foodwatch and Agir pour l’environnement. The Institut national de la recherche agronomique (INRA) estimated in 2017 that exposure to titanium dioxide favoured the growth of pre-cancerous lesions in rats. These results did not allow to conclude on its effects on humans. In July, the European Food Safety Authority (EFSA) considered that this study and three others submitted by France did not call into question its 2016 assessment, which concluded that titanium dioxide was “not likely to pose a health risk.” The following month, however, the European Commission commissioned a new opinion, expected by mid-2019, which should focus in particular on particle size. Faced with criticism, some food manufacturers have announced that they are withdrawing titanium dioxide from their recipes or stores, such as Carambar and Co from its Malabar or Carrefour, Super U, Leclerc, Picard and William Saurin. The ball is now in Bercy’s court.